Your never to young or old to garden and grow your own food! A few weeks back, after writing an article about canning and growing our own food at the farm (How The Garden Feeds Us) – Mary and I were amazed at the flood of comments from all over who wanted to grow their own food – but thought they might be too old, or too limited by space to garden. Those comments ended up inspiring today’s post – all about low maintenance gardening that all ages can enjoy. Whether it’s a pre-schooler bringing home a sunflower seed to grow in a tiny clay pot – a city-dweller growing vegetables on their terrace, or an experienced gardener passing on the tricks and tips they have learned to the next generation – the beauty of gardening is that it can and does cross all ages and barriers. 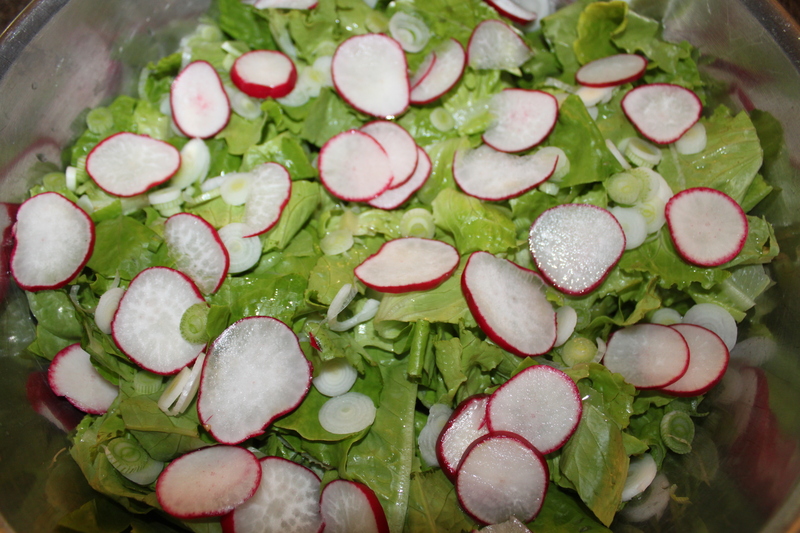 Just growing your own simple salads can be so rewarding….and delicious. For me, I can still remember watching my dad working in the garden, and my mom canning everything from tomatoes to green beans. Those early memories planted the seeds for me too – and the love of gardening. And I can also tell you – that no matter what – I will always be growing something for as long as I can! Containers are one of the easiest ways to grow your own food no matter where you live. 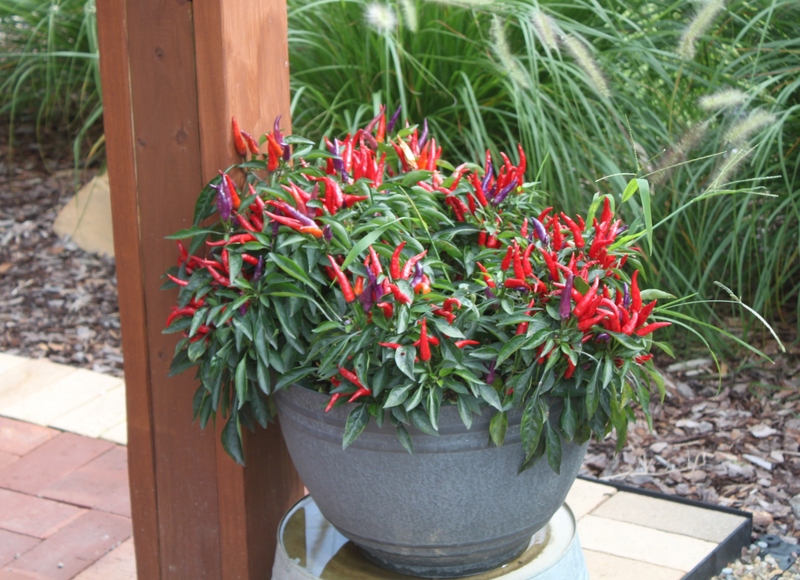 Whether you are young or old, or anywhere in between, limited by space, or just want to try your hand at growing for the first time – containers are the perfect way to low maintenance gardening. Even with our garden at the farm – we make full use of containers on our back porch at our home throughout the growing seasons with herbs, small salad tomatoes and peppers. The key to successful container growing is to have good quality soil, proper drainage, and keep the plants watered regularly. We use lightweight lava rocks in the bottom of our containers to provide air and water pockets and keep them from becoming too heavy. We then fill with a lightweight potting soil, and mix in a little of our compost for extra vitality. You can grow virtually anything in a container – just remember if you choose to grow heavier veggy crops like tomatoes, peppers or cucumbers – to give them a stake or cage for support, and put them in a large enough container to let them expand their roots. Straw bale planting is an easy way to create an instant, raised bed. Straw bale gardening is another great way to garden with limited space or effort. 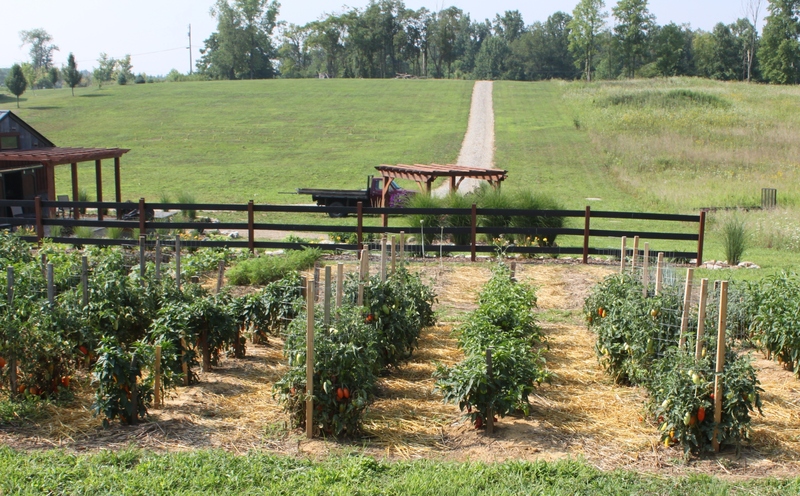 You can grow a few peppers, tomatoes, or cucumbers in a single bale – or put a few together to create an instant garden space. 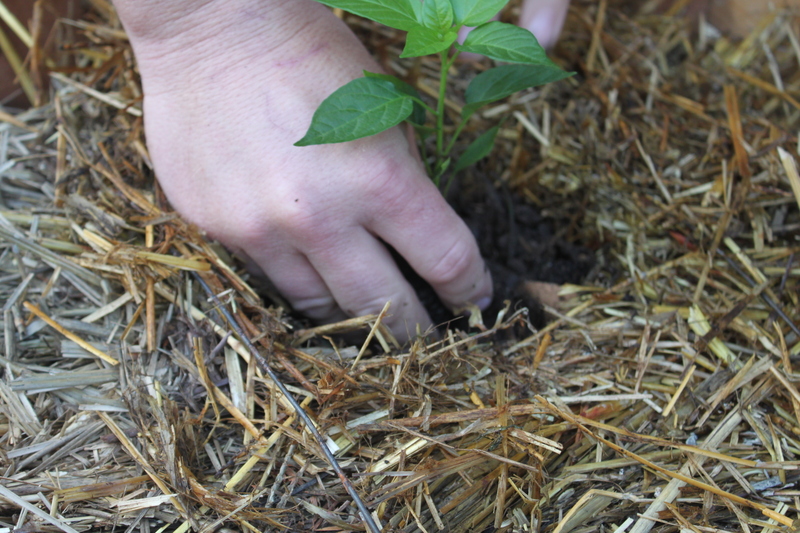 Simply create 6 to 8″ deep planting holes in the straw with a knife – fill the holes with soil and plant away. The straw helps to hold in the soil and moisture, and also allows air and nutrients to easily reach the plant’s root structure. As the bale decomposes throughout the season – it helps to keep the plants growing strong. If you want to tidy up the straw bale method to be a bit more attractive – here is a simple way to make crates for straw bale gardening. 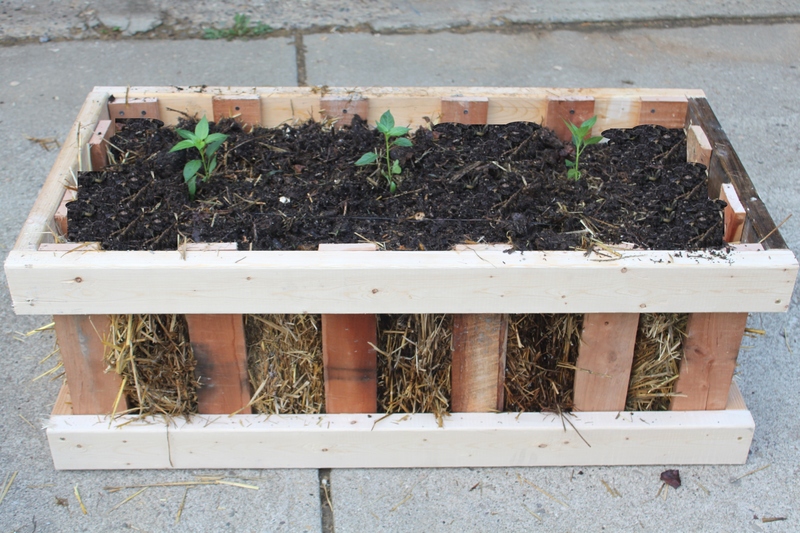 (See: Straw Bale Crate Gardening) The best part, you can make them with pallets for virtually free! You can then use the crates at the end of the season to make your compost pile in – and just add a new bale the following year to begin again! The added height of the straw bale makes it easy for those who have trouble bending over to garden. Raised Row beds are actually the method that we employ in our large garden at the farm – but they are an extremely low maintenance way to garden – and can be done on a small-scale anywhere – with no need for fancy (and expensive) raised bed structures. Just remember – your never too young to start learning how to grow, and never too old to keep on growing the food you love. 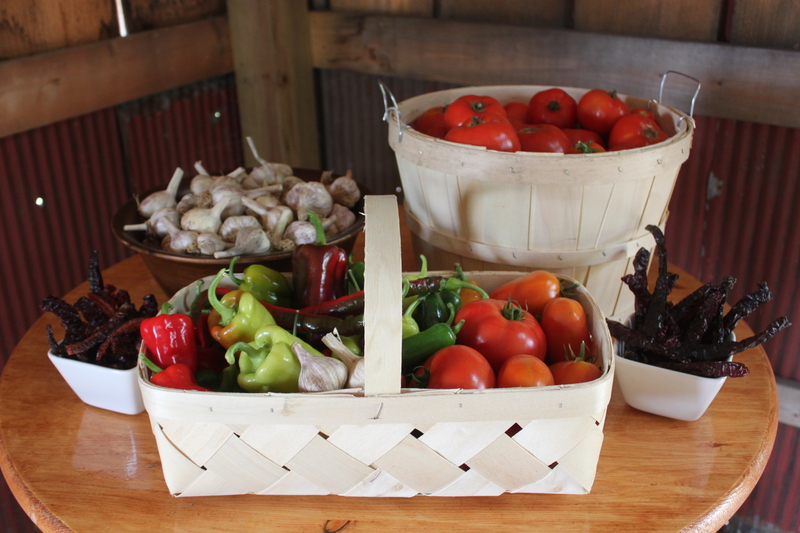 You may have to change the methods a little – but the amazing taste of growing your own fresh veggies never gets old! ← The Cabin Layout And Design – Phase 2 Of The Self Sufficient Cabin Project.